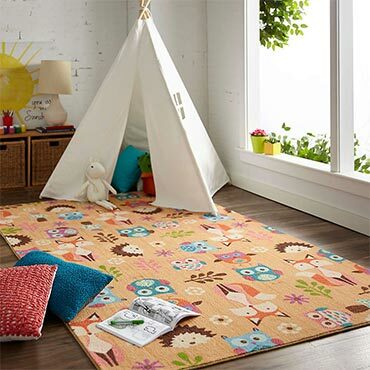 Celebrate the adventure of the great outdoors with Mohawk Homes Cabin Life Area Rug in Multicolor! Bold nature inspired shades of yellow, orange, green, aqua, teal, brown and red invigorate this lodge themed designs patchwork motif. Coffee lovers rejoice! 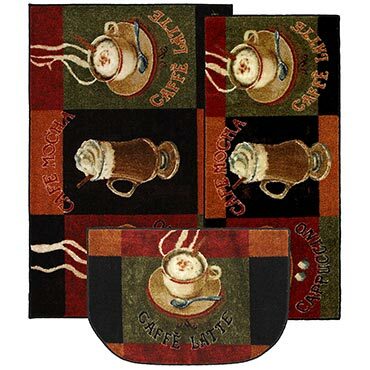 This whimsical rug is perfect gift for the coffee lover in your life. A great addition to any kitchen that will provide cushion while you prepare your favorite cup of joe. Printed on the same machines that manufacture one of the worlds leading brands of printed carpet, this rug is extremely durable and vibrant. 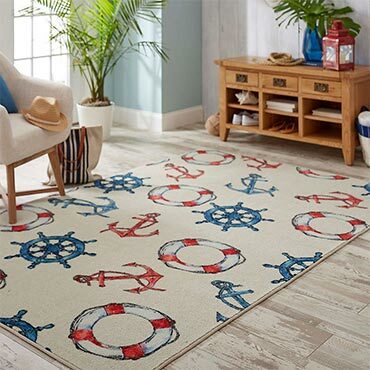 Red, white and blue floats, anchors and oars come together in the nautical inspired style of Mohawk Homes Coastal Life Area Rug in Linen. When it comes to color, the sky is no longer the limit with the infinite possibilities of Mohawk Homes revolutionary Prismatic Collection. 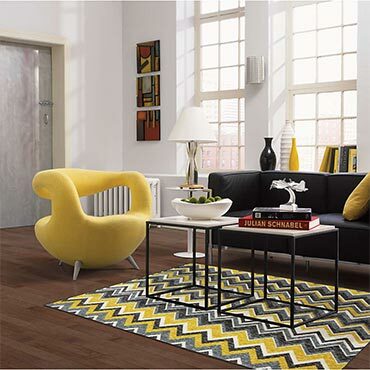 Bold zigzags are like graphic art for your floor! 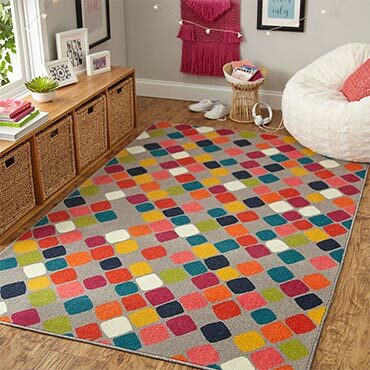 With different width stripes and bold colors this rug will shine as the spotlight of your decor. 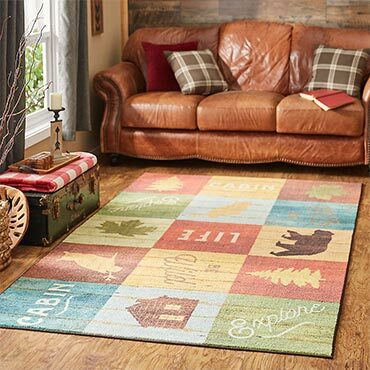 Printed on the same machines that manufacture one of the world’s leading brands of printed carpet, this casual rug is extremely durable and vibrant. 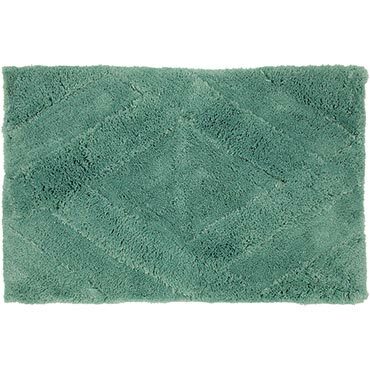 A modern accent rug with diamond shaped tiles of color is fresh in vibrant shades of magenta, teal, green, pink, purple, aqua, gray, yellow, white, red and orange in the contemporary design of Mohawk Homes Teen Blocks Area Rug in Prism. 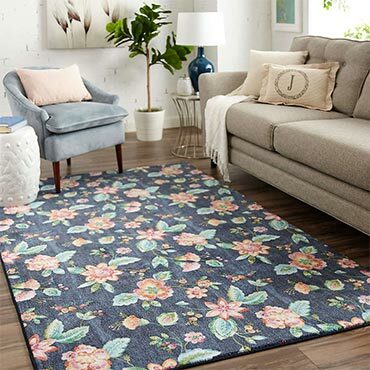 Dark midnight navy blue provides a rich base color for the modern pink, yellow and green watercolor inspired floral motif of Mohawk Homes Verdant Area Rug in Multicolor. When it comes to color, the sky is no longer the limit with the infinite possibilities of Mohawk floral rugs. Bring warmth and color to your bathroom with Mohawk decorative bath rugs. Our plush bath rug sets are soft and warm on your toes. Available in a variety of colors to accomdate your design style. 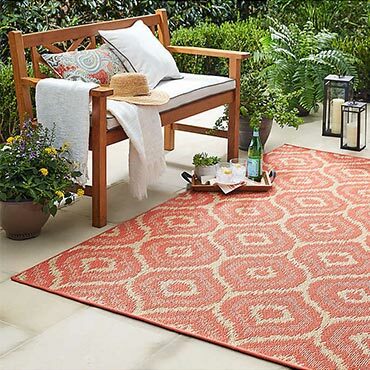 Tribal inspired ogees embellish the contemporary canvas of Mohawk Home’s Morro Indoor Outdoor Area Rug. Cast in a coral and natural sisal color palette, the Morrow will effortlessly enhance any space with its versatile design. Polka dots, vintage postage stamps and wine, what more could you ask for in a piece of art. This rug is art for your floors in warm earth tones. Printed on the same machines that manufacture one of the worlds leading brands of printed carpet, this kitchen rug is extremely durable and vibrant. Modern spheres of contemporary color and texturized patterns create the one of a kind scatter rugs. An abstract debut of the Aurora Collection, this colorful design is illuminated by vibrant hues of magenta, golden yellow, hot pink, turquoise, purple, fiery orange, cobalt, black, lime green and sky blue. Primrose Yellow sparkles with heat and vitality. Inviting us into its instant warmth, this joyful yellow shade takes kids to a destination marked by enthusiasm, good cheer and sunny days. 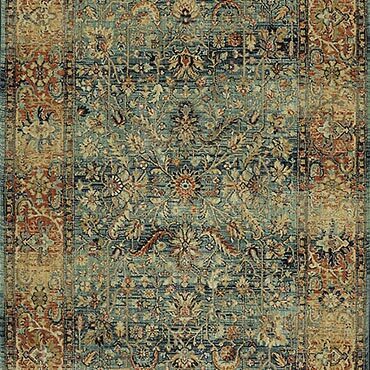 Color erosion techniques offer deeper dimensionality in this timeless Persian inspired rug from the Mohawk . Luxuriously ornate details are lit in fresh hues of indigo blue, aqua, ash gray, ivory, beige, mauve, lavender and pale yellow. A geometric pattern of squares in dark red, green and beige tones is a great way to add flair to any dining room, living room or bedroom. 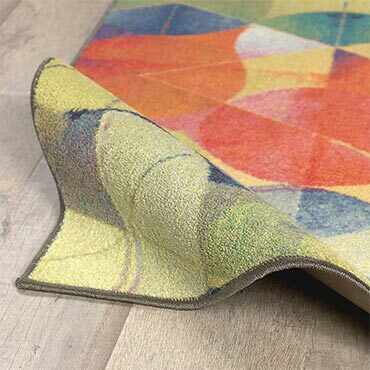 Printed on the same machines that manufacture one of the world’s leading brands of printed carpet, this contemporary rug is extremely durable and vibrant. Transform your home into an exotic oasis. Designed in four distinctive color ways, ranging in primary hue from a deep opulent teal to a vibrant splash of orange, this printed rug is not only unique, but also versatile and created to compliment an array of individual décor tastes. Rich contrast lends instant, eye-catching style to the classic pattern of this deep blue cut pile area rug. 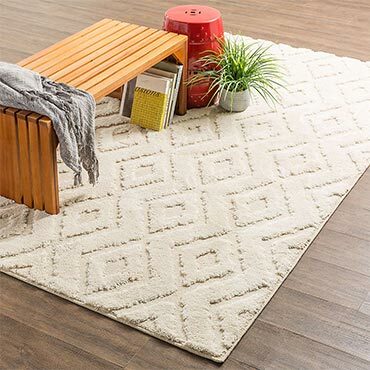 Stunning in a bedroom or home office, this transitional rug features polyester construction for lasting beauty and a soft, appealing feel under bare feet. A multicolored medley of whimsical critters meet in the playful design of Mohawk. Saturated shades of tan, blue, green, brown, red, orange, cream and purple combine in this contemporary and colorful kid friendly style. 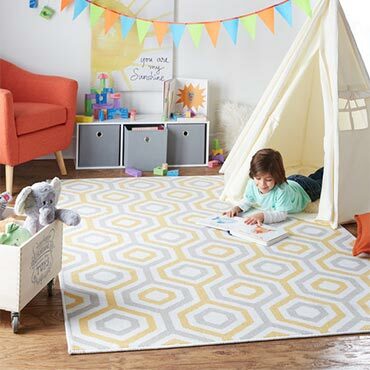 Diamond outlines and chevron lines add an ounce of intriguing texture to the neutral area rug from Mohawk. This machine made rug will beautifully pair will almost any décor motif. It's woven constructionoffers the upmost in quality and durability. 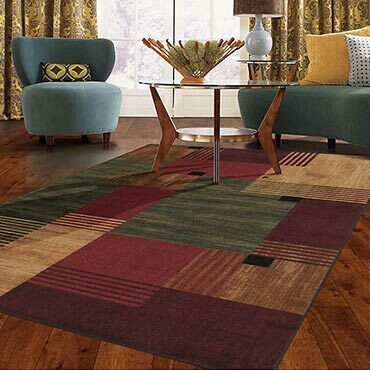 Our new Mohawk Select area rugs are the premium choice when it comes to design, color and value. 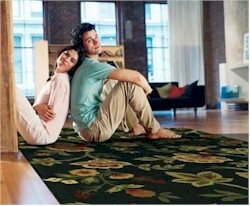 Mohawk's dedicated rug designers are constantly striving to bring you the latest in rug fashions. When choosing Mohawk Select, you not only have the brand name that you have grown to trust, you have the latest in style, color and great value as well. 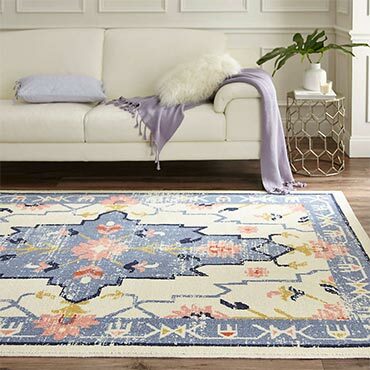 In addition to their beauty and durability, Mohawk Select area rugs are made from superior materials, blending the right colors, textures and patterns to express your home’s style. Traditional and Contemporary Design Choices – Mohawk’s dedicated rug designers constantly create the new looks that consumers want. 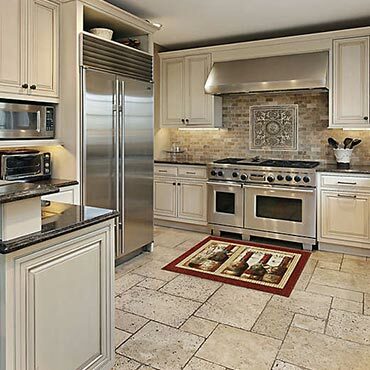 Premium Quality – Mohawk Select area rugs are unsurpassed in quality and style – all without sacrificing affordability. Trusted Brand – When choosing Mohawk Select, you not only have the band name that you have grown to trust, you have style, color and value as well. So be selective...choose Mohawk Select, the premium choice from Mohawk.